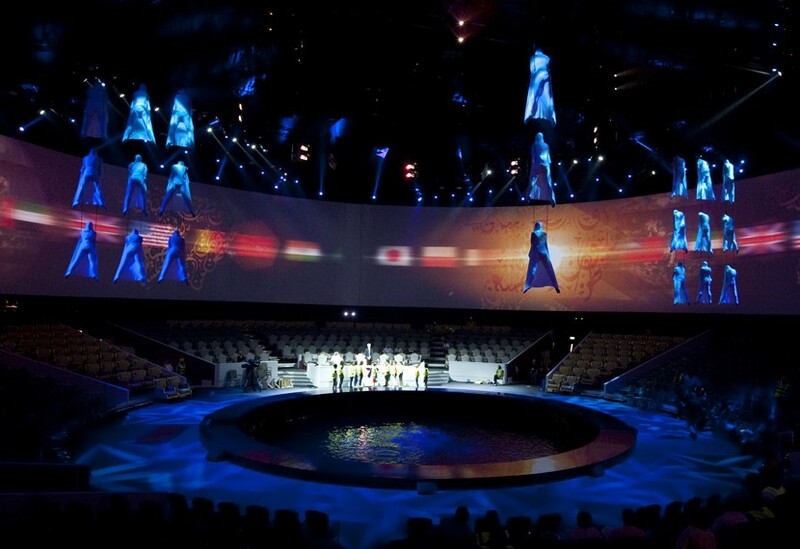 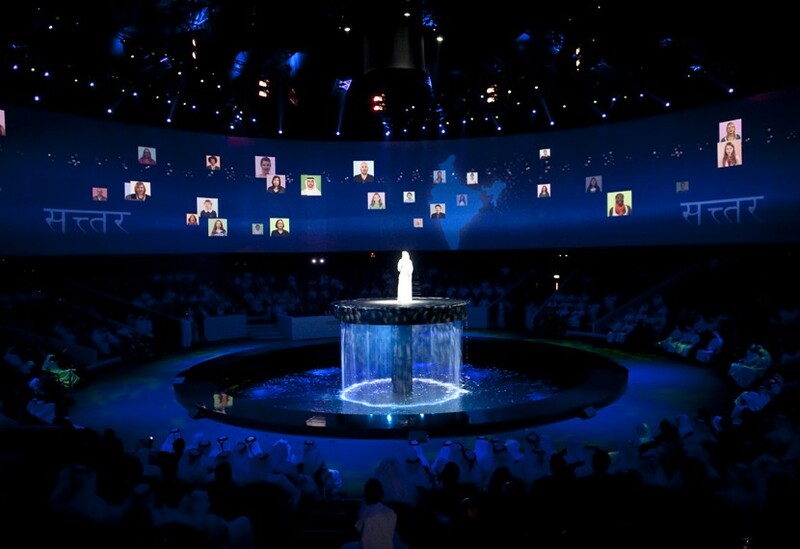 We provided construction and flying for this celebratory event, creating a 360º bespoke seating block for the 1300 gueats; a huge in-the-round projection screen and a water filled performance pool. 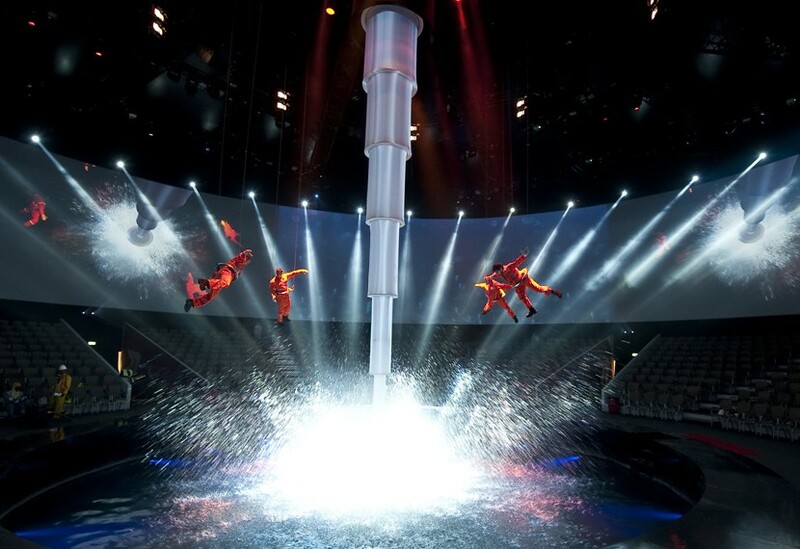 A ‘Human Abacus’ was configured by simultaneously flying 21 performers who were then used as a dynamic human projection surface. 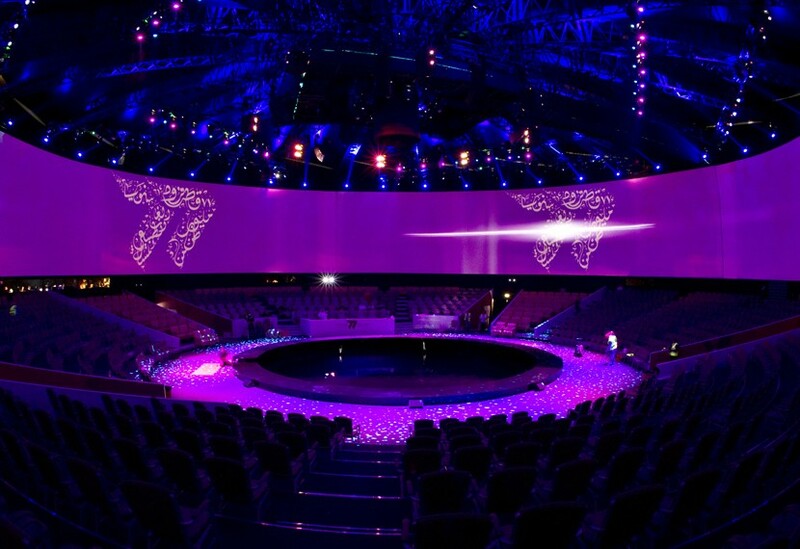 This required the use of our innovative laser positional control system to achieve precise positional synchronisation with the projected images. 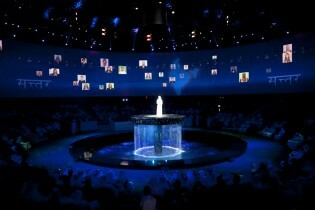 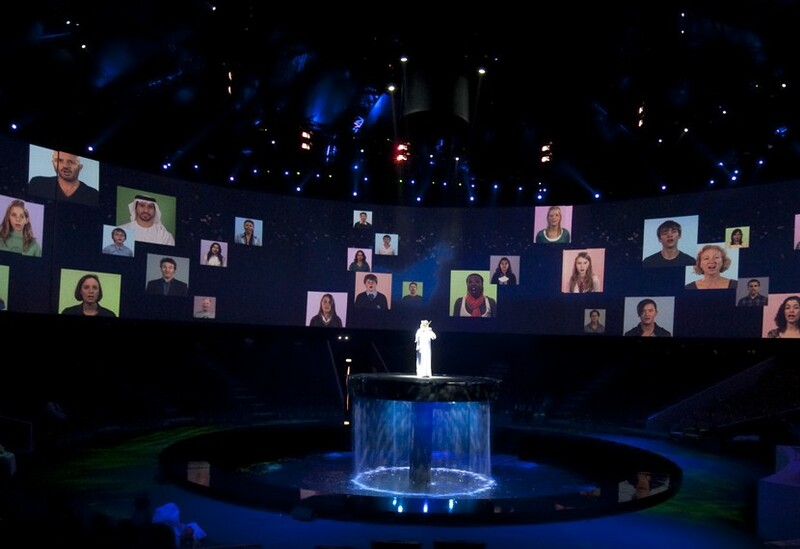 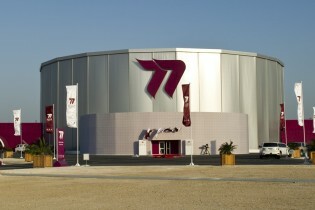 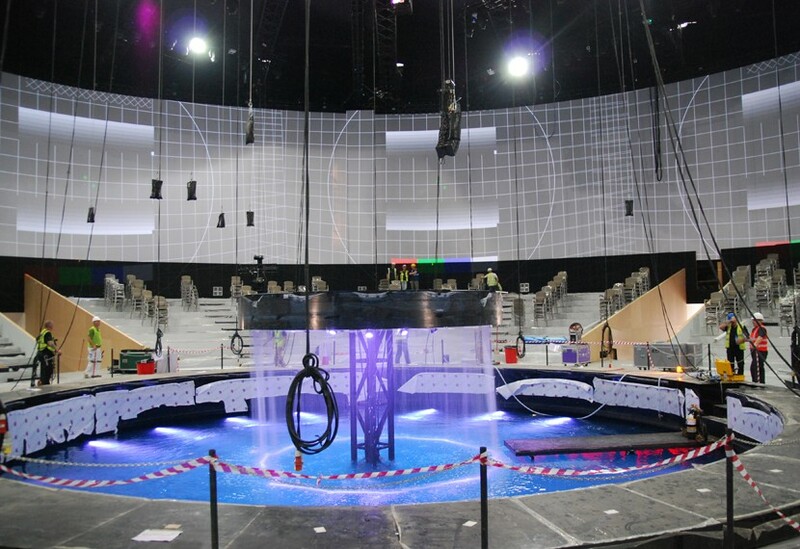 Our Qmotion system provided control for over 20 elements of the show, including a 12 metre telescopic scenic drill.